To rent our accessories visit order now. This heavy duty Nesting Dolly is designed to fit both 24 x 20 x 12 boxes and our 27 x 17 x 12 boxes. The boxes sit into the dolly to help prevent the boxes from falling over, unlike typical flat wood dollies, where boxes have been known to slide off. 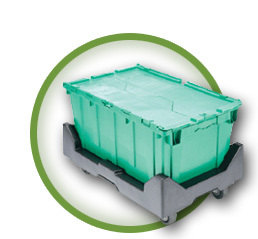 SmartBoxes Canada also provides a Box Dolly which is 27 x 17 x 12 and is also a full storage box with two lids or full moving box with a lid for an extra box (es) of storage. Nesting dollies make it easy for you to move up to 5 fully loaded boxes at a time. 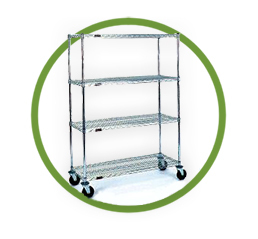 This moving dolly is ideal for shelving units, TV storage combinations, side table and more. It has a load capacity of 330 lbs (149kg), 4 solid rubber wheels, 29 x 18¾" (73.6 x 47.6cm) loading platform with bumper protection on all edges, PVC sheeting on top of platform and Quick-release folding steel handle. Easily move items in tight places with the moving dolly. 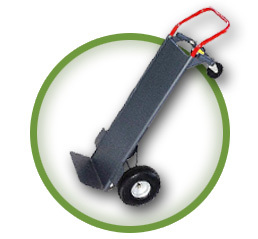 The hand dolly is the best choice for moving our Smart Boxes, dressers, stoves, dryers and other large items. 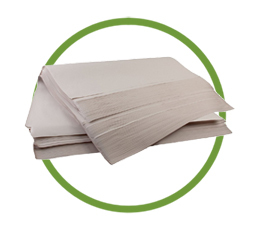 They are lightweight and easy to use. Easily slide up and down stairs. One-hand maneuverability. Keep your clothes looking like they've been hanging in your closet during your move. No washing, no ironing--your clothes are office ready in your new home with SmartBoxes wardrobe boxes. 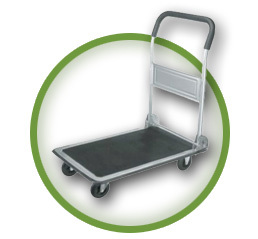 Heavy duty computer carts can take up to 10 computers at a time, for easy moving. 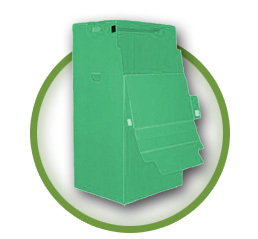 These strong wire carts come complete with dust cover, ideal for renovations to protect your computer and printing equipment. $25 for 1 week /$35 for 2 week rental. Contact us for longer term rental pricing. Keep track of what's in each box and where it should go with one master-inventory system. Reusable moving boxes are the way of the future.